High-performance, green, sustainable — all are terms that are often used interchangeably. While they may conjure visions of solar roof panels, geothermal heating, and other expensive technologies, most home builders agree that the most important components of a high-performance home are windows, insulation, and HVAC systems. Todd Hallett, president of TK Design and Architecture, Howell, Mich., takes a more holistic view. To Hallett, high-performance design encompasses marketability, efficiency of construction, construction cost, livability, waste reduction, and profitability. “A home may be green, but if it cannot be sold effectively it’s not a high-performance home, in my opinion,” he says. “It also has to be relatively easy to build and cost-efficient.” With production homes, for example, it’s better to develop details that are accurate and marketable instead of custom details that are costly and difficult to execute. As you’ll see, designing and building a high-performance home takes planning and communication — and knowing where to spend money and where to save it. Before the first shovelful of dirt is turned, the home builder, architect, and trade contractors and suppliers get together, review the plans, and throw out ideas for making the home not just more energy efficient, but more efficient to build. They discuss what’s worked in the past and what they’d like to try next. Guidance from an outside expert can be invaluable when builders and designers are dealing with techniques and products they haven’t used before, says Isaac Savitz of Silver Lining Builders, Boulder, Colo., builder of the net-zero-energy model at SpringLeaf. 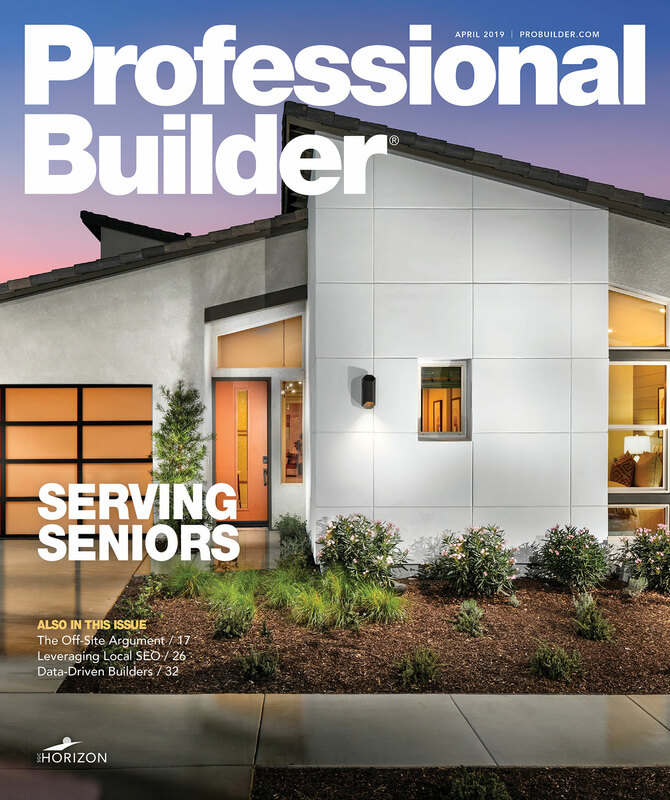 Building science guru Justin Wilson of Building Performance Solutions, Colorado Springs, Colo., helped bring everyone up to speed on the cutting-edge technologies used in the home. On the design side, site selection and the orientation of the home on the lot is critical. Houston-based David Weekley Homes is in the process of converting all of its homes to advanced framing. “We learned that for basically little change in cost we could greatly increase the amount of insulation in the walls,” says Mike Funk, a Weekley quality coach. The builder switched to 2x6 construction on the exterior walls, with a single top plate and open corners that use two studs instead of three. Headers over windows and exterior doors are C-shaped to accommodate insulation. “I tell everyone who’s building a home, ‘You’re a fool if you don’t spend money on good windows, insulation, and your HVAC system,’” says Werr. “Windows are your first line of defense against energy loss.” While many builders use double-hung windows, he prefers casements: “It’s the best window you can put in a house because it’s sealed on all four sides.” When evaluating windows for a project, Werr says, consider the energy ratings (R-rating, U-rating, and solar heat gain coefficient) and the warranty. Get the input of architects, trade partners, suppliers, and other decision-makers while the project is still in the design phase. Whenever possible, site the home to take advantage of southern exposure on the rear, with fewer penetrations on the north side. Use roof overhangs and deep porches to help reduce solar gain. Design according to a 2-foot module to accommodate common sheet-good sizes. Over-designed foundations are a waste of concrete and wood. Determine the correct number and size of footings ahead of time. Apply advanced framing techniques to reduce the amount of wood in the house. Don’t use 10 studs when two will do. Right-size HVAC equipment. Many systems are much larger than they need to be. Take advantage of prevailing breezes and cross-ventilation to reduce the load on mechanical cooling systems. Choose the most energy-efficient windows your budget allows. Make sure they’re flashed and sealed properly. Seal all ductwork and openings in the building envelope. Maximize the insulating capacity of the thermal envelope. In other words, get the best R-value you can for the money. Avoid ductwork in unconditioned spaces, such as attics. Reuse and recycle building materials. Test your homes regularly to monitor energy performance and identify opportunities for improvement. Ensure that the home is ready for alternative technologies that the homeowner may want to add in the future. For example, pre-wire the home for a solar photovoltaic system.